When Canada’s national housing agency polled recent Metro Vancouver homebuyers last year, more than half said they were involved in a bidding war — but times have changed. As sales and prices in the Lower Mainland have taken a tumble, so to has the number of bidding wars. So suggests Vancouver realtor and founder of VanCity Condo Guide Steve Saretsky. Saretsky’s take isn’t based on anecdote. 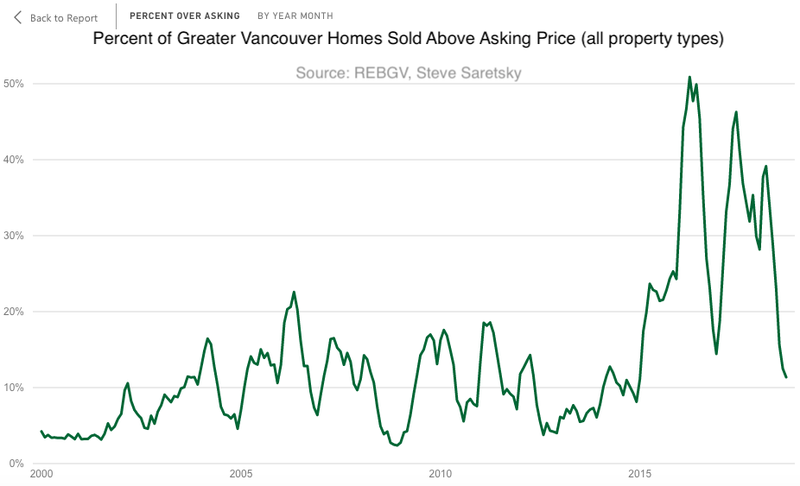 He has charted the percentage of Greater Vancouver homes that have sold above asking price — often a sign of a bidding war — dating back to the year 2000. Running the numbers he found 11 percent of homes that changed hands in September sold for more than they were listed, compared to an eye-popping 51 percent in April 2016, the peak. 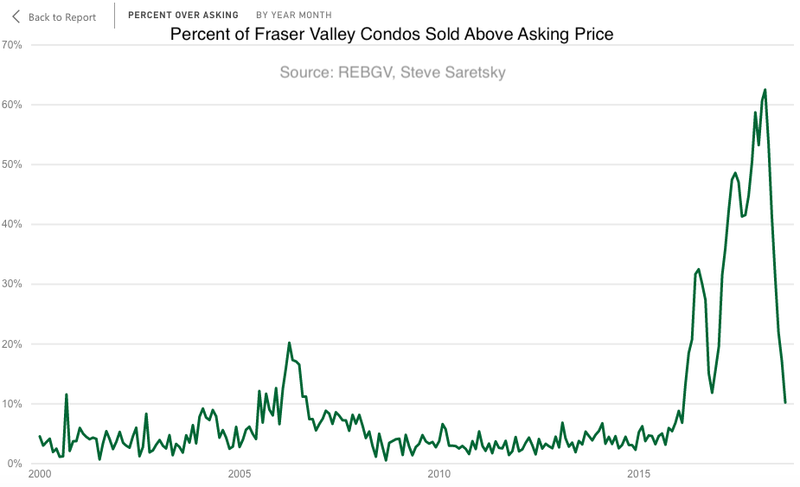 “While 11% still sounds high, it’s worth noting that even during the bear markets of 2008 and 2012, the number of listings sold above the asking price was still at 9%,” Saretsky writes in a VanCity Condo Guide blog post this week. Last month, the frequency of bidding wars was roughly the same for both condos and detached homes. The apparent vanishing of bidding wars has been more pronounced, and recent, for the condo segment. In March of this year, the percentage of condos selling over asking was 63 percent. Though such transactions are suggestive of a bidding war, Saretsky notes the data aren’t perfect. “What this metric doesn’t account for is all the listings lingering on the market going no bid. And perhaps [it] accounts for the few listings which are sometimes offloaded in a fire sale,” he says.